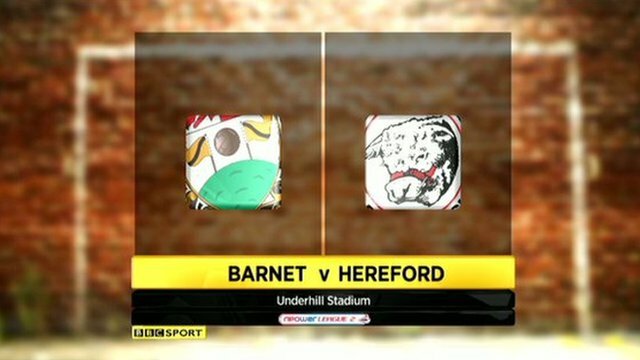 Hereford United have sacked boss Simon Davey and assistant manager Andy Fensome after winning just one of their 10 league games in charge. The Bulls are bottom of League Two and have not registered a victory since the opening day of the season. A club statement confirming their departures said: "The club decided to terminate their contracts after an unacceptable start to the season." Bulls physio Jamie Pitman has been named caretaker manager. Davey and Fensome's exit follows Saturday's 2-0 defeat by Barnet. That was seen as a must-win game for the management team with Barnet beginning the afternoon just one place above the Bulls in the division. Should he really be given another chance at managing another league team or should he just stick to scouting? Chairman David Keyte said: "As a club we are bitterly disappointed and deeply concerned at the results and performances so far this season and feel we have to take action." Davey succeeded Graham Turner at Edgar Street in the summer after leaving Darlington. The former Barnsley manager joined the Teesside club in April but could not prevent them being relegated to the Blue Square Bet Premier. He quit that job in June by email. 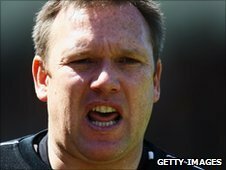 His only win as Hereford boss came on the first day of the season against Crewe.